This tutorial describes how to use iCarosel control in your application when you are dealing with Paged & Number of scrolled Views. iCarousel is a third party library that is used to implement different types of carousel in iOS. In general terms, a carousel is referred to as a merry-go-round at a common fair. Here the term is used for same, as it contains a number of paged and effectively scrolled views. iCarousel provides a number of effects with a simple implementation of code like flat, cover flow, cylindrical etc. iCarousel can deal with any kind of view rather than images. It provides an ideal way for representing paged data in an effective manner within your app. It’s very simple and handy to implement just because of its minimal line of code. This tutorial gives you brief idea about how to implement iCarousel in your application by following steps given below. Unzip downloaded file and find iCarousel folder, which contains two files named iCarousel.h and iCarousel.m. Copy iCarousel folder to your project repository. Build phases >> link binary with libraries >> QuartzCore.framework. Create layout from storyboard as following. 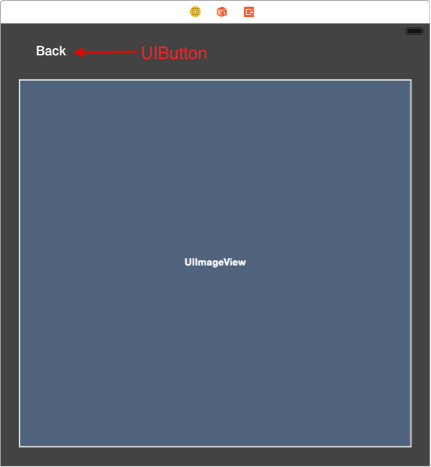 It contains two UIViewController with UILabel, UIView and UIButton. If you already have an idea about creating layouts then directly jump to Step-3. 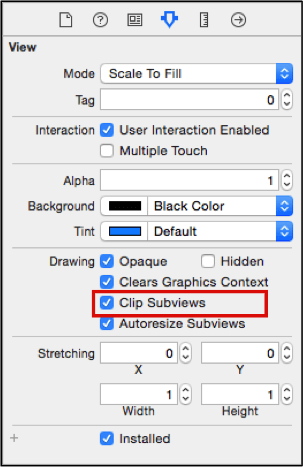 Select UIView (figure-1) and check its Clip Subviews property from Attribute inspector panel. 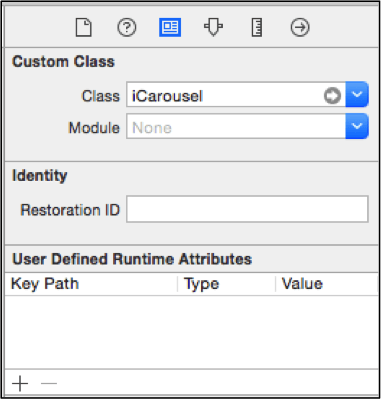 Now select UIView, set its class as iCarousel from Identity inspector panel. Now create an outlet to ViewController.swift file from storyboard as following. Create segue named imageDisplaySegue from ViewController to ImageDisplayViewController. In this case, I have used images folder, which contains 10 different flower images. It is already copied to project repository. 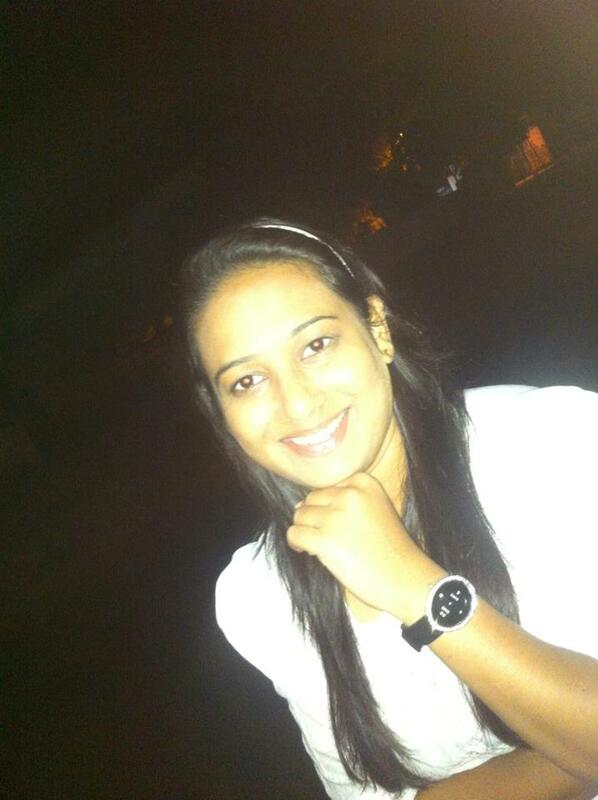 (If you want to change then make folder with your requirement of images and copy it to project repository). You can directly download Image Folder that is used throughout the project. Declare an array, which contain names of all images available in the folder created above. (In this tutorial we have 10 images named 1.jpg, 2.jpg etc.). Challenge: How to display images other than .jpg in iCarouseal? Whenever you are dealing with iCarousel, you have to specify a behavior of iCarousel. iCarousel available with a number of types, each of them is different in its presentation behavior. You have to write following lines of code once an array has been initialized. Here we are implementing iCarousel delegate methods to display a number of images in UIImageView in scrolling carousel. 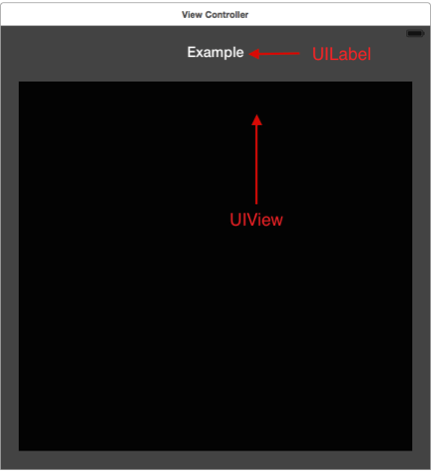 Here we are creating UIImageView in iCarousel and reusing it just like UITableViewCell in UITableView. Set image for particular UIImageView available at index. When a user clicks on any images available in iCarousel, segue triggers programmatically. Generally segue initiated automatically when a user clicks on any image from iCarousel. When segue triggers, we are passing selected image to the destination view controller. In our case, we can achieve this by overriding prepareForSegue method as following. When ImageDisplayViewController is loaded, an image will be set to image view available in view controller (Figure-2). I hope you will find this post very useful while working with iCarousel View Controller in Swift. Let me know in comment if you have any questions regarding in Swift. I will reply you ASAP.